On Monday a federal judge in Virginia unsealed the original 2017 affidavit and criminal complaint on which Assange’s extradition request to the US is based, offering new details including chat logs between Assange and former Army intelligence analyst Chelsea (then Bradley) Manning, which attempt to support a single count of “conspiracy to commit computer intrusion” which may or may not have succeeded. The US alleges Assange actively sought for and encouraged Manning to crack a password to access classified information on a Defense Department network; the affidavit claims details related to this charge, for instance chat log discussions between the pair over how to crack a password, though the affidavit notes that “it remains unknown whether Manning and Assange were successful in cracking the password,” related to the conspiracy charge. “Investigators have not recovered a response by Manning to Assange’s question, and there is no other evidence as to what Assange did, if anything, with respect to the password,” the document states. However, the FBI-produced affidavit’s language throughout makes no mention of Assange acting in the way of a journalist or a publisher, but instead takes pains to paint him as conspiring to commit espionage. Manning had spent seven years in prison on violations of the Espionage Act and copying and disseminating classified military field reports, before receiving a commutation from President Obama. The secret military documents and files were what put WikiLeaks on the international media map after they were released on 2010, and included sensitive information about the Iraq and Afghan wars, Guantánamo Bay operations, as well as other State Department cables. The document uses maximal and hyped language to describe “one of the largest compromises of classified information in the history of the United States,” yet struggles to ascertain whether “illegal agreement that Assange and Manning reached” specifically led to the release of the document trove (obviously crucial for charges against Assange to hold up). Concerning a potential extradition to the US, “probable cause” is cited to be the hundreds of messages sent between Manning and Assange on the Jabber platform. The argument is that Assange and Manning understood that it “would cause injury to the United States,”especially with US forces active on the ground in Afghanistan. But on this point of whether the leaks did actual harm and damage to US efforts, the document is left reaching, trying to spin and insinuate a narrative that puts WikiLeaks and terrorist groups like the Taliban and al-Qaeda in cahoots. The supposed Taliban member said, “We are studying the report… If they are US spies, then we will know how to punish them.” This strange and somewhat comical example is meant to support the notion that Assange ultimately aided America’s enemies with the leaks. 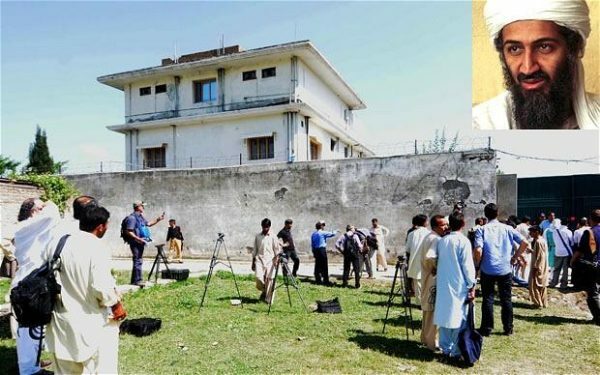 Worse, the affidavit makes Osama bin Laden — killed in a 2011 raid by US Navy Seals while living comfortably in an Abbottabad, Pakistan compound — out to be a WikiLeaks fan, given letters had been found instructing an al-Qaeda member to “gather” the publicly available material leaked by Manning. Somehow this is meant to imply WikiLeaks in a round-about way assisted al-Qaeda’s mission. The FBI is perhaps left grasping with this “bin Laden benefited” theory given the relative flimsiness of evidence to support the original “conspiracy to commit computer intrusion” aspect on which the case originated. Also of crucial note is the timing concerning the US government’s pursuing the case out of which the affidavit originated. The document’s author, FBI special agent Megan Brown, was assigned to the case in 2017, less than a year prior to filing the affidavit. This suggests, as long suspected, the Obama DOJ likely wasn’t moving forward with charges, after which the Trump DOJ decided to go for it. Research on the internet? Perhaps the FBI found itself over-reliant on Wikipedia for those times it couldn’t concoct “WikiLeaks-Taliban” connections out of New York Times headlines.